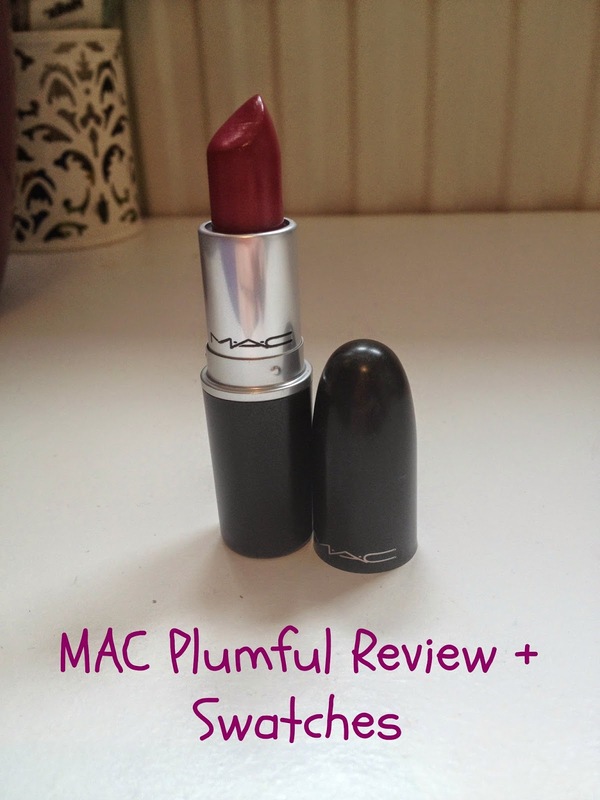 Today I am going to be reviewing my first MAC lipstick which I got back in April. I decided to get this because Essie Button recommended it in her Top 5 Mac Lipsticks video, and I thought it looked really pretty, and I’d been wanting to try a Mac Lipstick for ages! I have to agree with that. At first this lipstick looks a little daunting, if you aren’t used to wearing bold colours, but once applied to the lips, it actually looks really nice, and its easy to build up colour. 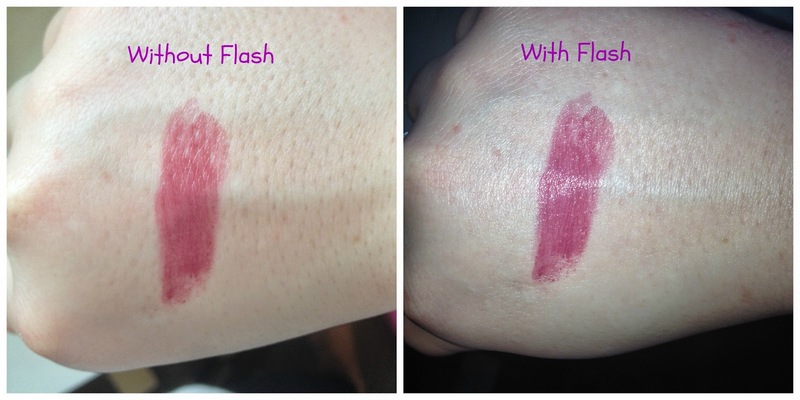 Plumful, is a medium toned plum/pink shade, which I think would be flattering on a lot of skin tones. This would be a nice everyday lipstick, and would look awesome in Autumn, or any time round the year to be honest! Here is Plumful swatched on the back of my hand. You can see that without a flash it looks more pink/ berry toned, and with the flash it looks more ‘plumful.’ How punny. When on the lips, it looks quite natural, but you can tell you are wearing lipstick. 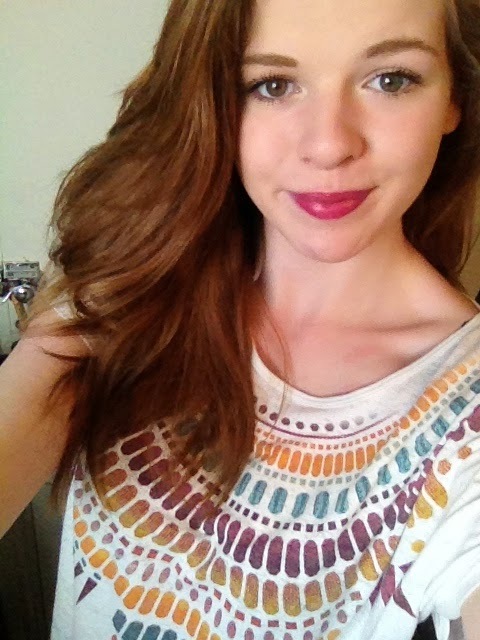 I really like this lipstick because it’s fun to wear, and I don’t have to worry about it smudging everywhere! Here it is from far away! 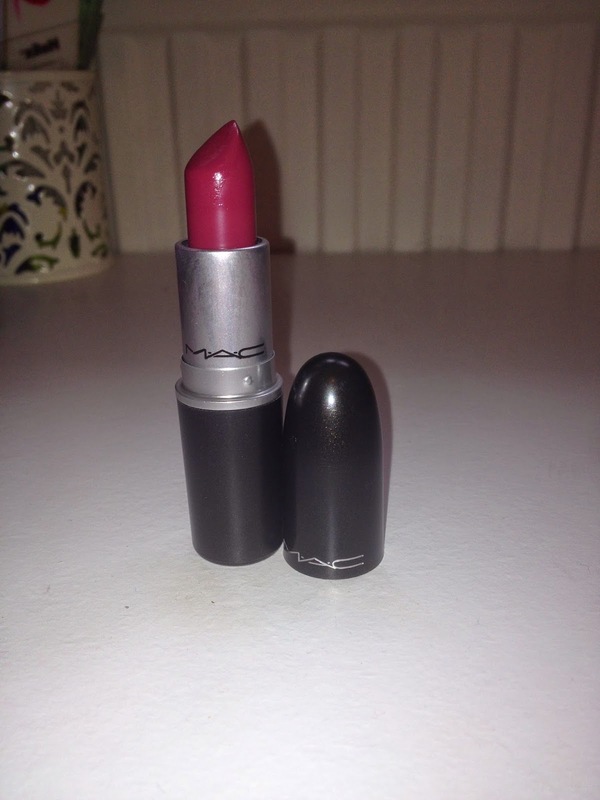 Mac lipsticks cost £15 and are available to purchase here! 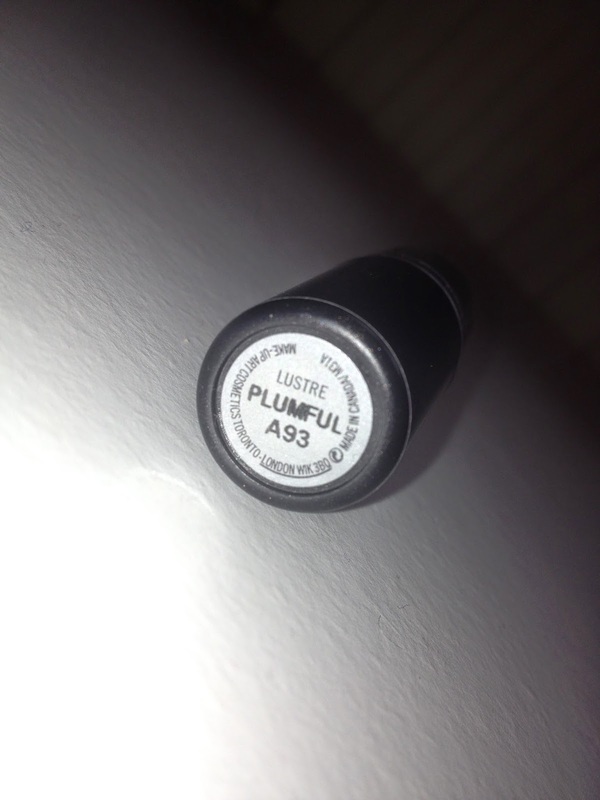 I hope you found this post useful, and if you have Plumful, or any MAC lipsticks, what do you think about them? I am looking to add Crosswires and See Sheer to my collection soon!